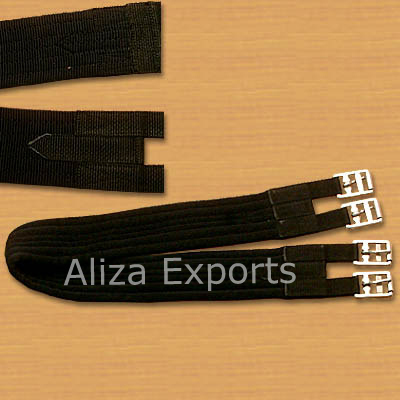 Normal saddle girth with S.S. buckles. 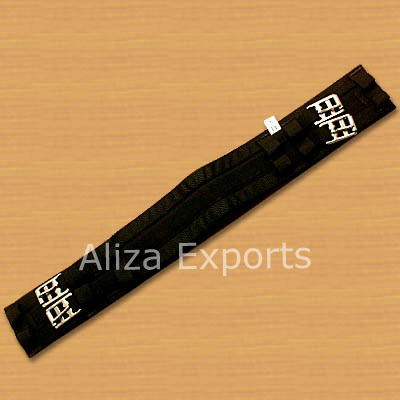 Sizes: 70 cm. to 155 cm. Short saddle girth made with cameron cloth with S.S. roller buckle with elastic on both side. 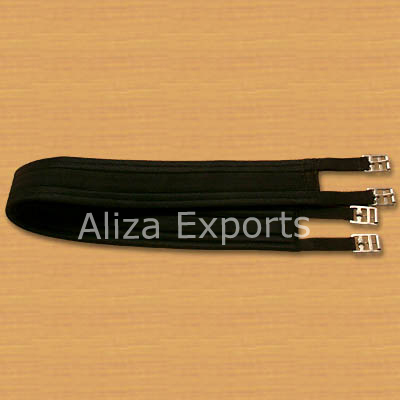 Normal saddle girth made with durable washable cameron cloth with S.S. roller buckle, elastic on one side. 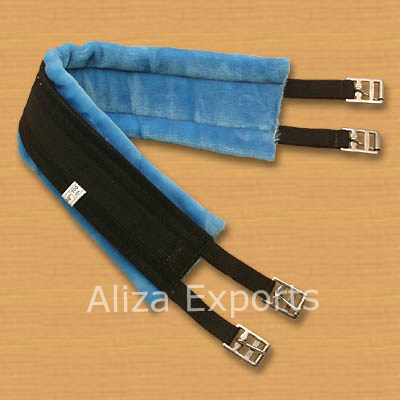 Normal saddle girth made with durable washable cameron cloth with S.S. roller buckle, elastic on one side, padded with mink fur. 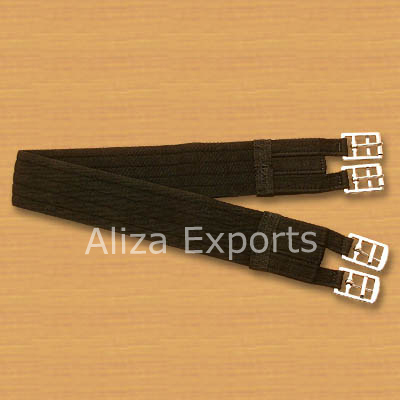 Aerborn style girth made from washable durable cameron cloth. 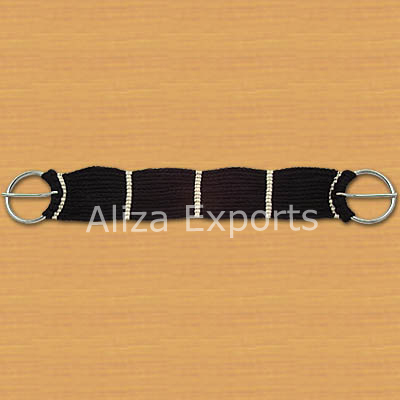 Aerborn style girth made from washable durable cameron cloth with different grip pattern. 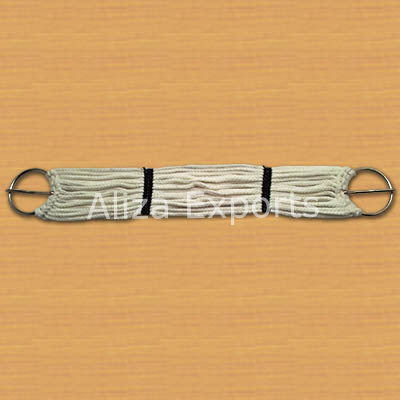 Cotton cord girth hand knitted with strong round ring buckles. Sizes: 60 cm to 80 cm. 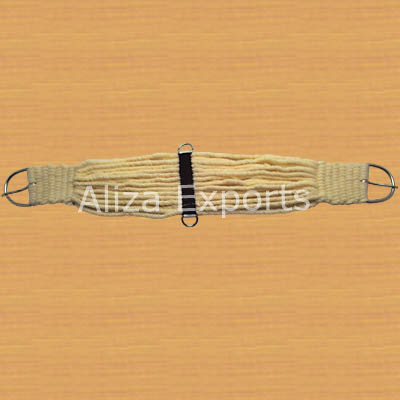 Wollen cord girth hand knitted with strong round ring buckles. Sizes: 60 cm to 80 cm. 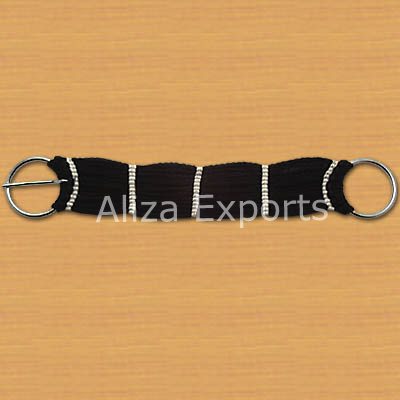 Soft wollen cord girth with nickle plated buckles and two D rings. 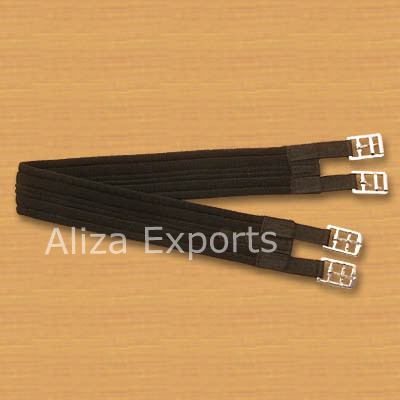 Sizes: 60 cm to 90 cm.